"A truly brilliant Heyer with an adorable and very real heroine and a hero who is very human!" 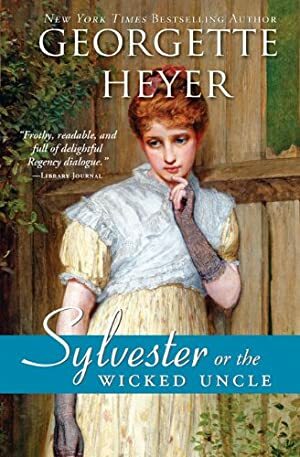 "One of Heyer's most unsung achievements, a classic Pride and Prejudice story. Hilarity and adventure throughout." "The hero may be my all-time favorite. He is so drily funny it takes your breath away. What a wonderful love story." "Hilariously funny, romantic, even touching in a subtle way." Georgette Heyer wrote over fifty novels, including Regency romances, mysteries, and historical fiction. She was known as the Queen of Regency romance, and was legendary for her research, historical accuracy, and her extraordinary plots and characterizations. Track It. This book has been $8.81 within the past year. Log In to track Georgette Heyer on eReaderIQ. to be notified each time the price drops on any book by Georgette Heyer. to stop tracking Georgette Heyer. We started tracking this book on February 10, 2011. The price of this book has changed 106 times in the past 2,996 days. This lowest price this book has been offered at in the past year is $8.81. The lowest price to date was $1.99 last reached on June 27, 2016. This book has been $1.99 6 times since we started tracking it. The highest price to date was $10.99 last reached on July 8, 2018. This book has been $10.99 12 times since we started tracking it.